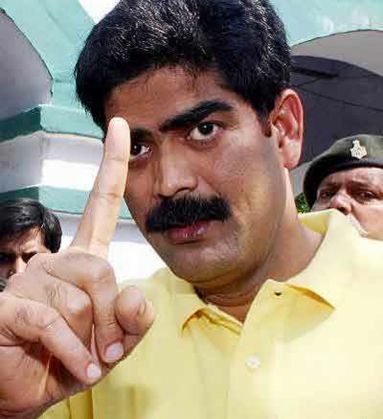 Mohammad Shahabuddin, former Rashtriya Janata Dal (RJD) MP, has been sentenced to life imprisonment by a Bihar court on 11 December. He has been convicted in the 2004 double-murder and kidnapping case, along with the three other accused. According to reports, Shahabuddin, Sheikh Aslam, Sheikh Arif and Rajkumar Sah have been convicted for murder, kidnapping and criminal conspiracy. In August 2004, Shahabuddin's men kidnapped three brothers - Girish, Satish and Rajiv Roshan - following a conflict with their father over property matters. Girish and Satish were drenched in acid and killed, while the elder brother managed to flee. In June 2014, Roshan was also killed just three days before he was scheduled to appear in court and record his statement. A politician from Lalu Prasad Yadav's RJD, Shahabuddin has been a member of Lok Sabha for four times and a two time MLA in the Bihar Vidhan Sabha. The first criminal case was registered against him in 1986, with many more to follow since then. At Hussain Ganj police station in Siwan, which was also his constituency, Shahabuddin has been listed as a history sheeter Type A. He is currently kept at Siwan jail and has already been convicted in about half dozen other cases. Shahabuddin's lawyer has said that they will challenge this decision in the High Court. According to them and a police statement, he was in jail at the time of the incident. However, Roshan had stated that Shahabuddin was present when the murder and kidnapping took place. Chandrakeshwar Prasad, who lost his three sons in this conflict, says that he is being continuously pressurised to leave Siwan.